After many years of experience preparing whale bones for display, Cetacea now almost exclusively uses a hot vapour degreasing method to extract the internal oils from cetacean bones that are bound for exhibition. 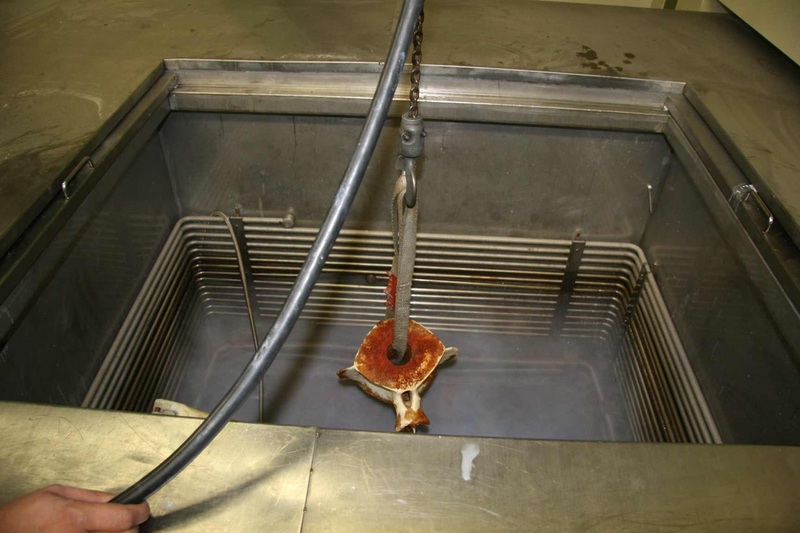 This method of cleaning utilizes extremely specialized equipment that is most commonly used in the aerospace industry for cleaning machine parts. 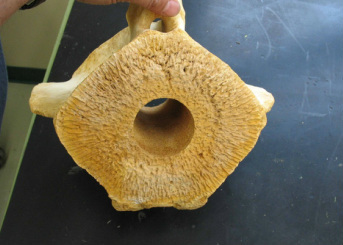 In this part of the world, we have found that hot vapour degreasing is the only 100% reliable method to thoroughly degrease whale bones without damaging boney material. With the support of Reliance Specialty Products and Aerospace Welding, Cetacea has engineered the only portable hot vapour degreasing service in the world. See our blog for photos of the system. Cetacea uses a proprietary solvent engineered by Reliance Specialty Products, called GenTech. It is extremely effective and far less hazardous to work with than traditional chlorinated hot vapour degreasing solvents. Contact us to learn more about vapour degreasing or to inquire about equipment rental.